The Debian derivatives census is an attempt to gather detailed information about Debian derivatives that is useful to Debian, for integration of that information into Debian infrastructure and for the development of relationships between Debian and our derivatives. In addition we will be doing some QA on the data that you enter into the census. If you are not involved in the Debian derivative that you would like to see added to the census, please consider sending an invitation to join the census to a contact point of the derivative you would like to see added to the census. To add a new derivative to this page, register an account, login and enter the short name of your derivative below, with no spaces. When you click "Add a new derivative", an editor will be loaded containing the census template (please fill out as much information as you have) and when you save the page, the new page will be created and added to the list below. If you are the maintainer of a census page, you are expected to subscribe to both it and the census template or subscribe to the RecentChanges RSS feed so that you are notified when your census page is out of sync with the template and more information needs to be added. When editing your census page, please replace the date at the end with @TIME@ so that the current date is added. Please use no spaces when entering a name for the page. The list of derivatives below includes the names, logos and descriptions of each derivative in the census. More details on each derivative can be found by clicking through to the page about the derivative. There is also a list of derivatives that includes the full details about each derivative. More lists of distributions directly and indirectly derived from Debian are available on the main derivatives page. AIMS Desktopis a Debian derivative for maths and science users primarily in tertiary education environments. It is mostly used by AIMS centres in Africa, but also by individuals and other institutions. It aims to be a turn-key solution that includes the most popular free software packages available. AlienVault Open Source SIEM (OSSIM) is a complete Security Management solution. Along with the AlienVault Unified SIEM for IT and AlienVault ICS SIEM for industrial / SCADA applications, AlienVault OSSIM is in use at more organizations than all alternatives combined. AlienVault OSSIM provides all of the functionality required to detect and profiles attacks and provides a comprehensive, intelligent Security Management platform and toolset. The entire solution is based on Debian's, including all seamlessly integrated tools and the security management platform. The OSSIM project was created and is currently coordinated by the founders of AlienVault. The OSSIM platform consists of a Management Server, and Sensor or "Probe". A professional version that includes Logger functionality is also available (please see below). The solution may be implemented as a single monolithic appliance or a set of appliances in which probes are separated from the management server, and distributed throughout the enterprise. Probes capture network and system information in real time, and send it to the central Management Server where the data is analyzed to assess immediate threats and risk, filter out false positives, and locate false negatives that other security devices and software on the network cannot detect. Apertis is a FOSS (Free and open source) GNU/Linux-based platform for infotainment in automotive vehicles. It is a distribution derived from Debian/Ubuntu and geared towards the creation of product-specific images for ARM and Intel x86 systems. aptosid is made up of 2 words, firstly apto, which is a Latin word which means 'to fit, adapt, adjust, make ready, or fit'. The second word is sid and is the codename of Debian's unstable branch. aptosid holds fast to the core values and social contract of Debian. (DFSG). We aim to be 100% compatible with debian sid, and is at the forefront regarding the definition of a rolling distribution. ArcheOS is a Debian derivative aimed at being a complete operating system for archaeologists. 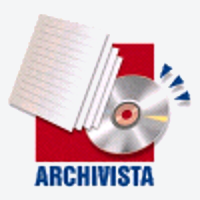 The ArchivistaBox has a very fast and powerful installer, in about 1 to 2 minutes the whole solution is installed. Astra Linux is the Russian Debian derivative. Its structure includes many free software components and also software decisions of the Astra Linux developers that allow to work with unique simple and fast graphical interface and raise the security level and to expand possibilities of its application on desktops tablets mobiles and servers. BCCD (Bootable Cluster CD) is a live CD intended for use as an pedagogical tool for high school and college computational science educators. Using the BCCD, one can quickly setup a compute cluster with all the tools needed to start teaching computational science or parallel programming. Optionally, a permanent cluster maybe automatically configured by copying the live CD image onto a hard drive. Bayanihan Linux is a Debian derivative aimed at creating an easy to use alternative desktop-oriented operating system particularly for use in the Philippines. Aims to build a Linux distribution according to the needs of Indonesian computer users. BunsenLabs Linux is a Debian derivative, it is a community continuation of CrunchBang. Canaima GNU/Linux is a Venezuelan desktop distribution based on Debian GNU/Linux. It was primarily designed as a solution for the computers of the National Public Administration (NPA) in accordance with the presidential decree N° 3.390 about the use of free technologies in NPA. Nowadays, Canaima is no longer a distribution of the state but a Metadistribution developed, promoted, and used by a large Community in Venezuela and various latin-american countries. It also continues to be the official Operating System in the NPA and powers National Projects as Canaima Educativo (Educational Canaima) for children. Clonezilla live is a Debian derivative aimed at being a disk imaging and cloning derivative. CoreBiz is a Debian derivative aimed at companies which are willing to migrate their IT environment to Linux. CoreBiz serves as an directory server and allows modular extensions, such as the CoreBiz Backup or CoreBiz Terminal server. In addition CoreBiz directory server is able to communicate with Microsoft's Active Directory. ?CrunchBang is a Debian GNU/Linux based distribution offering a great blend of speed, style and substance. Cumulus Linux is the industry's first, full-featured Linux operating system for networking hardware. Cyborg is a Ubuntu-based security distribution designed for penetration testing and forensic investigations. Although it is primarily designed for security enthusiasts and professionals, it can also be used by any Linux user as a desktop system for day-to-day computing. Besides standard Ubuntu software, Cyborg-Linux has pre-installed GNOME metacity and compiz Desktop Environment, more than 700+ open-source tools for penetration testing, and a custom-built Linux kernel 3.13.0-40-generic. Cyborg was first released in 04/Dec/2014 under code name “Cyborg-Hawk” as the most advanced, powerful and yet beautiful penetration testing distribution ever created. Lined up with ultimate collection of tools for pro Ethical Hackers and Cyber Security Experts. Simplify security in your IT infrastructure with Cyborg. Its real strength comes from the understanding that a tester requires a strong and efficient system,that benefits from a strong selection of tools, integrated with a stable linux environment. It has 700 + tools while other popular distro have 300+ and also dedicated tools for and menu for mobile security and malware analysis. *Forensics:- Uncover the Digital evidence. Investigate them and interpreting electronic data for use in a court of law. *Stress Testing:- Determine the amount of stress your computer, network, program or device can bear. *Mobile Security:- Penetrate the mobile security and fix the vulnerabilities of it . Mobile Security covers every known platform for smartphones. *Wireless Security:- Secure your wireless world. Cyborg have top level tools to test your security. Debathena is a packaging of the clients and configuration for MIT's Athena workstations for Debian and Ubuntu. Debathena on Ubuntu 12.04 is deployed on MIT's public Athena computer labs, and we support all current Debian and Ubuntu releases on private workstations, laptops, etc. Deepin is a Debian-based distribution that aims to provide an elegant, user-friendly and reliable operating system. Donau is a Debian derivative designed for all 64-bit machines. It is low on resources, therefore you can use it on many different setups. Elive is a Debian derivative aimed at marrying the stability and power of Debian with the beauty and efficiency of the Enlightenment desktop environment. Emmabuntüs DE is a Debian derivative based on XFCE. It strives to be beginner-friendly and reasonably light on resources so that it can be used on older computers. It also includes many modern features, such as large number of pre-configured programs for everyday use, dockbar for launching applications, easy installation of non-free software and media codecs, and quick setup through automated scripts. The distribution supports English, French, German, Italian, Portuguese and Spanish languages. Endless OS is a Debian derivative aimed at first-time computer users in emerging markets, with an easy-to-use UI based on GNOME, support for low-cost hardware and apps and content pre-loaded to offer a rich desktop computing experience even with expensive, poor or no internet connectivity. Epidemic is a Debian derivative for the easy use to new people in Linux system Debian. Finnix is a console-based LiveCD with a focus on system administration tasks. It is available for x86/AMD64 and PowerPC/PPC64 architectures, and is aware of and will work out of the box with several virtualization systems (Xen and User Mode Linux). Finnix is the oldest LiveCD still in production (since 2000), and has been a derivative of Debian since 2005. Freeduc is a Debian derivative aimed at educational needs, based on KNOPPIX. 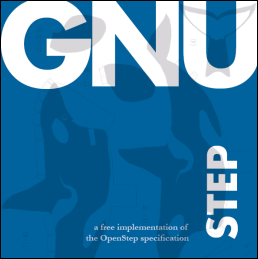 GNUSTEP is a Debian derivative aimed at shipping the GNUstep software for developers and users interested in Objective-C MVC development (Cocoa on Apple macOS). The focus of this is developers. The Greenbone OS (GOS) equips the Greenbone Security Manager appliances with a comprehensive and powerful basis. This includes the Greenbone Community Edition which can be received for free. The main elements of Greenbone OS are the base operating system, a administrative interface and the scan applications. Grml is a Debian based Live system aimed at system administrators. Hamara Linux aims to be the distribution of choice for Indian users and organizations, whilst making sure that the common people, gets access to technologies in their most accessible form. HandyLinux is a french Debian derivative for very beginners aimed at being a bridge between nonfree and free software users. HandyLinux is available in french and in english. Huayra is a Debian derivative aimed at schools in Argentina. Inquisitor is an open-source hardware testing and certification system, suitable for both enterprise and home use, customizable, modular and available in both server-less Live CD/DVD format and server-controlled network boot production system. Kali Linux is a security auditing operating system and toolkit that aims to be the most advanced and versatile penetration testing distribution ever created. Kali Linux incorporates more than 300 penetration testing and security auditing programs with a Linux operating system, delivering an all-in-one solution that enables IT administrators and security professionals to test the effectiveness of risk mitigation strategies. Kali Linux offers a smoother, easier penetration testing experience, making it more accessible to IT generalists as well as security specialists. All the programs packaged with the operating system were evaluated for suitability and effectiveness before being included. They include Metasploit for network penetration testing, Nmap for port and vulnerability scanning, Wireshark for monitoring network traffic, and Aircrack-ng for testing the security of wireless networks. KNOPPIX is a Debian GNU/Linux derivative preinstalled and preconfigured, with a changed boot procedure that allows running the system with hardware-detection live directly off CD, DVD, USB flashdisk or diskless (via PXE) over a network. Linux Mint is a GNU/Linux distribution. Its Linux Mint Debian Edition (a.k.a. "LMDE") is based on Debian Testing. Lernstick is a Debian Live derivative aimed at schools. It's primarily used in Switzerland, Austria and Germany. ?LiMux is a Ubuntu derivative aimed at providing the main OS platform for the municipality of the city of Munich. Lihuen GNU/Linux is a Debian derivative aimed at being an educational and administrative desktop. LinEx is a Debian derivative aimed at easing the digital inclusion of each and every person in Extremadura (a region located in the South West of Spain). LinEx 2010 is a technological solution and it's free software: LinEx 2010 is the first distribution of a Public Administration that incorporates the quality testing as an integral part of its development. Thus, the best possible experience of installation and use is ensured. LinEx facilitates the early detection and correction of defects, both technical and those which come from the usability of the user. LinEx has different flavours; LinEx Colegios (education), SESLinEx (health department), LinEx SP (libraries and administrative areas), JEXGuia (city councils), JEXPYME (enterprise) and JuegaLinEx (young people, gamers, leisure and free time). LinuxAdvanced is a Debian based Live system primary developed for use in schools/education. Maemo is aimed at running on Nokia internet tablets and phones like the N900. Matriux is a Debian-based security distribution designed for penetration testing and forensic investigations. Although it is primarily designed for security enthusiasts and professionals, it can also be used by any Linux user as a desktop system for day-to-day computing. Besides standard Debian software, Matriux also ships with an optimised GNOME desktop interface, over 340 open-source tools for penetration testing, and a custom-built Linux kernel 3.9.4. Matriux was first released in 2009 under code name “lithium” and then followed by versions like “xenon” based on Ubuntu. Matriux “Krypton” then followed in 2011 where we moved our system to Debian. Other versions followed for Matriux “Krypton” with v1.2 and then Ec-Centric in 2012. The newest version Matriux v3 RC1 k0d3 name “Leandros” was released on 2013-09-27 which is a major revamp over the existing system. A beautiful and customizable Linux build for out of the box features for an Internet Kiosk. You can use the Meilix Generator (Web app) to make a Linux for your own brand/event, also add apps and features you need pre-installed, it will create an ISO Image of your Linux, which you can use as a live boot or install on PCs. is a Debian derivative aimed at building out of the box features for an Internet Kiosk. Mentor(R) Embedded Linux(R) Omni OS is an embedded Linux® distribution based on Debian. Mentor Embedded Linux Omni OS provides the key benefits of an enterprise-class Linux distribution with the customization capabilities, footprint and real-time performance of an embedded OS. Suitable for industrial, medical, consumer and mil-aero applications. OLPC is an Debian derivative aimed at packaging the Sugar desktop and activities. OSMC is a Debian derivative aimed at being a mediacenter distribution. Open Network Linux is a Debian derivative aimed at Bare Metal Switches. Open Secure-K OS, the next generation live operating system following liveng patterns (whitepaper here: https://liveng.readthedocs.io), by LumIT Labs. is a Debian derivative aimed at being the easiest to use (especially for the elderly) for a complete desktop use (internet, email, photos, webcam and many other applications). It contains a custom simplified desktop interface. Pardus Linux is a GNU/Linux distribution jointly developed by the Scientific & Technological Research Council of Turkey (TÜBİTAK) and National Academic Network and Information Centre (ULAKBİM). It started its life as a Gentoo-based project before developing its own unique identity. Since late 2012 the distribution is based on Debian GNU/Linux. Parsix GNU/Linux is a live and installation DVD based on Debian. Progress Linux is a Debian derivative focused on system integration. Proxmox VE is a complete server virtualization management solution based on Debian. It supports two types of virtualization: container-based virtualization and KVM full virtualization and manages virtual machines, storage, virtualized networks, and HA clusters. Proxmox Mail Gateway is an open-source email security solution based on Debian, and protects users from spam, viruses, and malicious emails. It is a full featured mail proxy deployed between the firewall and the internal mail server and allows to control incoming and outgoing email traffic from a single platform. Please note that this page is not about Purism's PureOS but about another older Debian derivative with the same name that is now inactive. Please do not modify the historical information on this page. PureOS is a Debian (testing branch) based liveCD/USB built with the Linux Live scripts. Purism PureOS is a Debian derivative developed as a rolling release based on Debian testing, aimed at security and freedom conscious desktop users. NB! Upstream project name is simply "PureOS". Name here includes its main sponsor merely to distinguish from earlier distribution no longer active (project leader of said other distribution has agreed to hand over domain to new project, but formal and practical handover is progressing only very slowly). Q4OS is a Debian derivative focused on security, reliability, long-term stability and conservative integration of verified new features. System is distinguished by speed and very low hardware requirements, runs great on brand new machines as well as legacy computers..
Qubes OS is a reasonably secure operating system. It provides security by compartmentalization, using Xen and templates to allow the user to run individual isolated qubes, integrated into a single, unified desktop environment. Raspbian is a Debian derivative targetting armv6 devices with vfpv2. Primarily but not exclusively the raspberry pi. We are based on debian armhf but with reduced compiler defaults to that our binaries will run on such devices. Rescatux is a GNU/Linux and Windows rescue cd but it is not like other rescue disks. Rescatux comes with Rescapp. Rescapp is a nice wizard that will guide you through your rescue tasks. Rescatux core is based in Debian stable with some added packages and custom scripts. Super Grub2 Disk integration is based on Debian Unstable. SELKS is both Live and installable Network Security Management ISO based on Debian implementing and focusing on a complete and ready to use Suricata IDS/IPS ecosystem with its own graphic rule manager. From start to analysis of IDS/IPS and NSM events in 30 sec. The name comes from its major components: Suricata Elasticsearch Logstash Kibana Scirius. After starting or installing SELKS, you get a running Suricata with IDPS within a NSM platform, Kibana to analyse alerts and events and Scirius to configure the Suricata ruleset. SELKS is released under GPLv3 license. SPACEflight is a live demonstrator for the Internet of Services. It combines Debian with the open-source service platform SPACE and an intuitive KDE-based service desktop integration. SalentOS is a GNU/Linux operative system based on Debian that uses Openbox as window manager. SalentOS has been designed to combine simplicity and completeness. Serbian GNU/Linux is a operating system for the Serbian Linux community, providing users with a stable and reliable distribution that is based on Debian and works on a wide range of computers. Distribution featuring a customised KDE desktop and lightweight Openbox window manager. SolydXK is based on Debian stable. SolydX uses the Xfce DE and SolydK the KDE DE. SolydXK aims to be simple to use, providing an environment that is both stable and secure. SolydXK is an open source alternative for small businesses, non-profit organizations and home users. ?SparkyLinux is a lightweight, fast and simple Linux distribution designed for both old and new computers featuring customized Enlightenment and LXDE desktops. It has been built on the “testing” branch of Debian GNU/Linux. Designed for power users, developers, servers and clusters, SprezzOS combines first-class HPC support with impeccable taste. 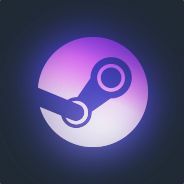 SteamOS is a Debian derivative aimed at providing a gaming experience built for the big screen. StormOS is a port of Debian Wheezy onto the Illumos base. Symbiosis is a Debian derivative aimed at being an easy-to-use hosting platform. The Amnesic Incognito Live System, i.e. Tails, is a Debian Live-based system aimed at preserving your privacy and anonymity: all outgoing connections to the Internet are forced to go through the Tor network; no trace is left on local storage devices unless explicitly asked. Tanglu is a Debian derivative aimed at providing more frequent releases than Debian and being targeted at Desktop users. Its goal is to be used together with Debian, where Debian runs on servers and Tanglu on desktops. Tanglu can be used to test new upstream software while Debian is in freeze. In short, you can think of Tanglu as a community-maintained Ubuntu. ThengOS is a Debian derivative developed for Malayaless (Malayalam-speaking people mostly from Kerala, a South Indian state) by Malayalees". ToriOS is a Debian based distribution that focuses on lower-end x86 hardware, using a custom Desktop Environment employing JWM (Joe's Window Manager) as well as a number of homegrown F/LOSS programs to make everything easier for the end user. ToriOS also uses a unique installer, OBI (One Button Installer) which installs the operating system from a tarball and configures it through a chroot. 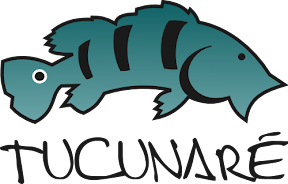 Tucunaré is the result of customizing the operating system Debian GNU/Linux and many other free software necessary for the exercise of citizenship and culture. It uses LTSP. It is the main distribution used in custom projects for Digital Inclusion in Brazil. Free as in speech: free software with full source code and a powerful build system (TKLDev). Free of hidden backdoors, free from restrictive licensing and free to learn from, modify and distribute. Backup and migration: built-in backup software (TKLBAM) saves changes to files, databases and package management to encrypted storage which servers can be automatically restored from. Ubuntu is a Debian derivative aimed at popularising and polishing Linux. 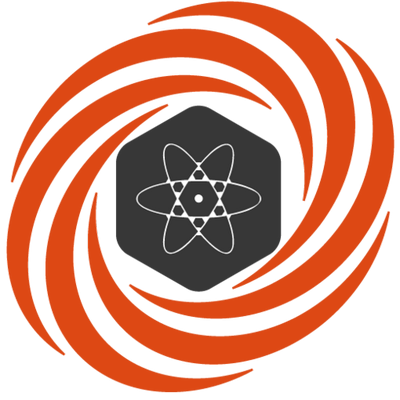 UltimediaOS is a Debian derivative aimed to be full redistributable and to provide the best multimedia integration for older and modern hardware. is a Debian derivative focused on enterprise environments. Vanillux is a Debian / Ubuntu, Gnome3 rolling release. All editions are delivered as distribution tarball and Live CD in i386 architecture. AMD64 architecture is available for Voyage Linux only. We also offer SDK to ease customizing Voyage Linux, using Live framework. VyOS is a Debian-based distribution for routers and firewalls that provides access to all features through a unified CLI in the style of Juniper JunOS. It includes static and dynamic routing, firewall, NAT, VRRP, multiple VPN protocols and more. Vyatta is a Debian derivative providing IPv4 and IPv6 routing, stateful firewalling, IPSec and SSL OpenVPN, intrusion prevention, and more. Wazo is a Debian derivative aimed at being a fully free software unified communication platform. is a distribution aimed at only supporting web applications. The typical use cases fulfilled are public access browsing and Web signage. ?YunoHost is a server operating system aiming to make self-hosting accessible to everyone. Neptune is a Debian derivative aimed for creating a fast running Live System for USB Sticks. ev3dev is a Debian that runs on LEGO MINDSTORMS EV3 and other MINDSTORMS compatible devices. HPE Linux (hLinux) is a Debian derivative produced by Hewlett Packard Enterprise for use by various HPE projects. rtros is a Debian derivative aimed at being an router operating system for pc. It is based on freerouter which speaks routing protocols and does packet forwarding. Semplice is a GNU/Linux distribution based on Debian with the goal to provide a simple, fast, lightweight and cool environment. siduction is a distribution based on Debian unstable. It aims at being a fast and bleeding edge distribution while still usable for productive work. It also wants to widen the testbase for Debian unstable. siduction wants to stay as close to Debian as possible, follow the spirit of the DFSG and the debian social contract and work with upstream in every possible way. ubilinux is a Debian derivative, based on Debian 8, aimed at supporting x86 SBC for Embedded applications. Previosuly supporting Intel Galileo and Intel Edison, now it provides an installer for the UP Board SBC, providing a Linux Kernel 4.4 which includes patches to enable HDMI Audio and 40-pin I/O header. It's a derivative of Debian that uses SID as base (100% compatible) and LXDE as desktop environment, designed to be lightweight, yet useful, contains tools for rescue systems, forensics and anonymous browsing, plus everything needed for use on the desktop.